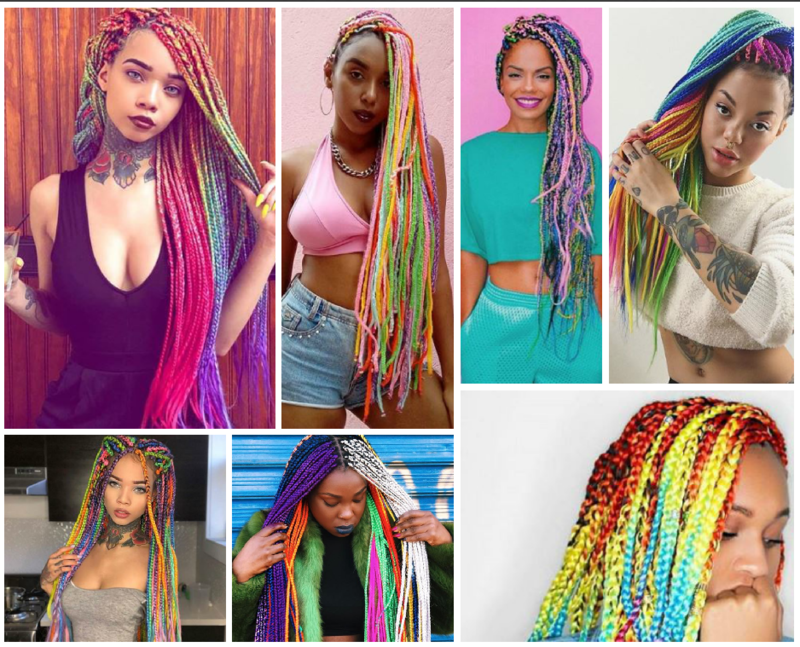 The mermaid, rainbow and unicorn hair trends that feature exotic hues like aquamarine, purple, pink and orange when fused into the individual hair braid culture is exciting. 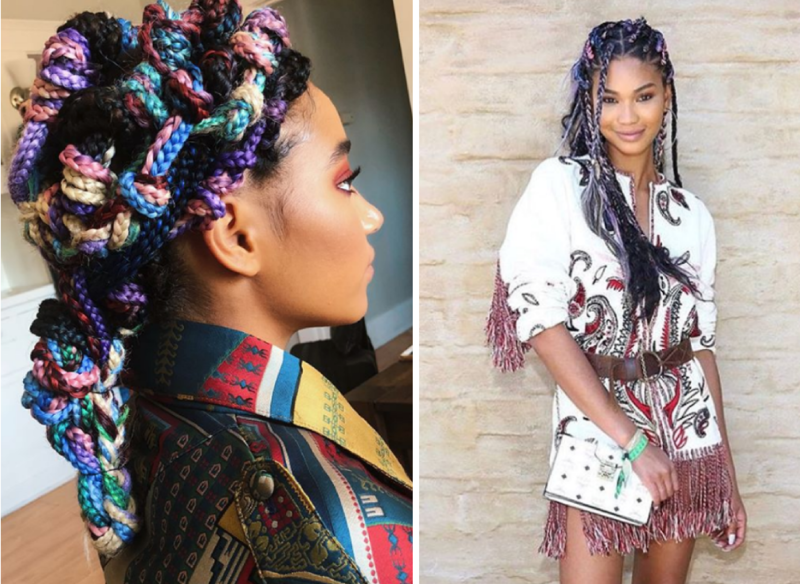 Around that time, a few A-listers like Amandla Stenberg and model Chanel Iman donned variations of the style, and it was a hit at Coachella. Recently, I saw my fave site Un-Ruly covered it as well featuring these awesome women. 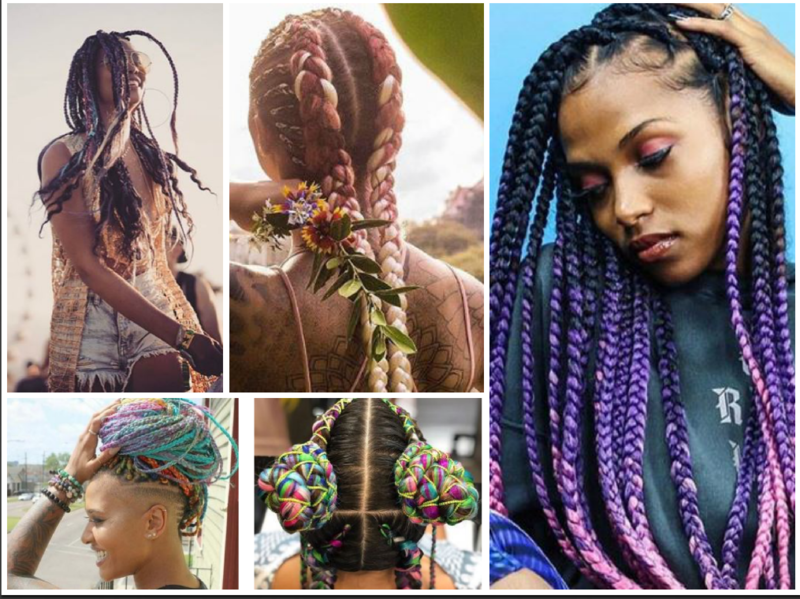 And if you have ever thought about trying this style but don’t want to go all Brave, you can ease into it subtly as in this models above, Un-ruly profiles! 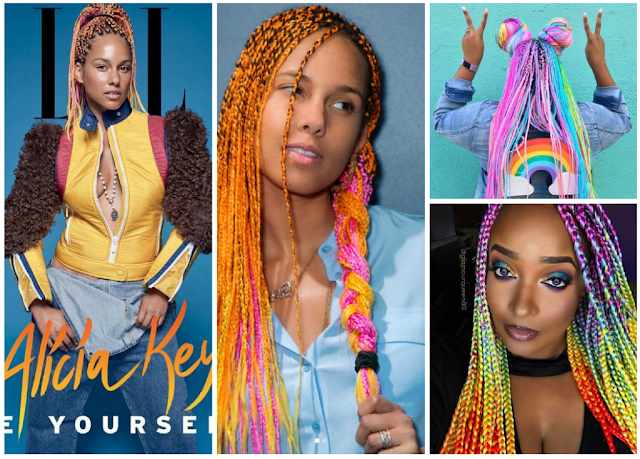 Though not as BIG as before, you can still spot the style on taste makers like Karly Loyce and Elle South Africa cover artist Sho Madjozi , YouTuber Kersti Pitre and others on the Gram once in awhile!